When you notice your dog itching, combined with hair loss or red, scaly scabs, then the culprit may be allergies. Here are some tips to help you determine the cause, and the potential treatment, for your dog’s allergies. Food – Sometimes dogs can be sensitive to something in their food, usually a protein or one of the fillers in commercial dog food, and the reaction is going to be constant itching. Mold – Mold, either in the food or in your home, can cause some dogs to have itching problems because of the mycotoxins they release. Your other pets – Dogs can actually be allergic to cats, especially male or long-haired cats, which put out more cat allergens than others. Topical products – Your dog’s shampoo or the perfume you spray on him to make him smell fresh could be causing his allergy problems. Your grass – Dogs can often be allergic to grass or other outdoor plants. Insects – Insects, such as fleas and mosquitoes, are a common source of seasonal itching in dogs. Keep in mind that a flea infestation can enter your home and cause year-round itching. You may feel tempted to reach for medications to deal with your dog’s allergies, but there is actually a better way. Studies have found that antihistamines only work in about 20 percent of dogs, so you might as well avoid them. The more unnatural chemicals you put into his system, the more problems he may face. Instead, try to treat the allergies in a natural way. The first step, whenever possible, is to remove the allergen. If your pet is allergic to something like food or mold, you can change the food or get rid of the mold. If the allergen is another pet, try washing that pet regularly. You may not be able to replant your yard, but you can stop using the topical sprays he is reacting to. If you have eliminated the allergen and have not seen improvement, or if you cannot eliminate the allergen, then consider a natural dog allergy treatment. Several blends of herbs have been shown to help stop the itching and the allergic reaction in dogs. By focusing on a natural treatment, you will not contribute further to the problem, while providing your pet with relief. An oldie but goodie – we LOVE this puppy versus cat video! What causes seizures in dogs? If you pet has an episode like this, you may become instantly upset and worried. The condition can be just as dramatic in pets as it is in people. Pets may have uncontrollable and sudden events in which the dog is convulsing. In some cases, it may be possible to determine what caused the seizure. Possible Causes There are many situations that can cause seizures in dogs. Where did this come from? Consider some of the potential reasons this may happen. Trauma is one of the most common causes as it causes the hemorrhaging and swelling in the animal’s brain. It can also happen if a blood clot forms and travels to the brain. Toxic seizures are also possible. This comes from some type of poisoning. The most common cause of this is lead poisoning but ingesting any type of non-natural food for dogs can lead to this type of problem. Encephalitis is another potential cause. This occurs when an inflammation occurs in the central nervous system. In some dogs, high blood ammonia levels can cause seizures. If the dog is left outside in the heat, especially without water, this can cause heat stroke. Heat stroke can lead to potential complications to life, including seizures. With all of these risks, it may be worrisome for pet owners who believe a pet is at risk. 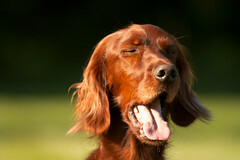 If the dog is having more than one seizure a month, it may be necessary to consider treatment options. What Treatment Options Are Available for Dogs Dog seizure treatments vary, but one of the most important things to look for is an all natural product. Natural remedies and anticonvulsants are safe to use and do not have any negative, toxic side effects. This type of treatment can reduce the number of seizures, but further exposure to the risk factor that brings them on will make it hard for the pet to stop having them altogether. It is also very important to treat any underlying medical condition brought on by the seizures or from which the seizures stemmed, such as nutrition deficiencies. What do you think? Would your dog be able to do yoga? Is your dog itching and scratching excessively? He may have an allergy caused by your cat. The term “man’s best friend” could not apply to any other animal in the world except to your dog. Your four-legged friend gives you daily walks to keep you fit, is there to dry your tears with wet kisses and just gives you unconditional love whenever you are near. So when you see your dog itching and scratching excessively, you worry about your dog’s health. Excessive itching can be caused by a number of factors, including allergies. People automatically assume that their pet must have a food allergy, although this is the least common allergy for a dog. Instead, people should consider the other pets in their lives that may be causing the dog’s allergies. Does your dog share an environment with long-haired cats or male cats? Theses types of cats carry a known allergen called FelD1, which can cause dogs to itch. The allergen is most commonly found in the cat’s saliva. As the cat bathes itself, the allergen attaches to the skin and dries as it flakes off, getting into the air and on your furnishings that your dog touches. The allergen can be active for over 10 years in a home environment. Don’t get worried that you now have to get rid of your cat. 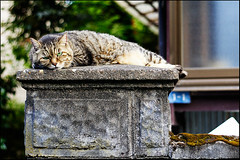 You can easily take care of the cat allergen by bathing your cat regularly. You can purchase cat shampoos that specifically handles the allergen to lessen how much of it enters the air. Also use a HEPA filter on your vacuum when you do your regularly cleaning or purchase a HEPA air filtration system (the small types you can plug into the wall) to remove more of the floating allergen flakes. 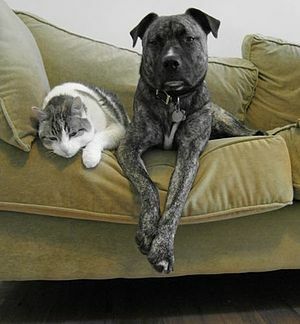 If your dog and cat likes to share a chair to lounge on, you can purchase a spray that will neutralize the allergen on fabrics and furnishings. Always take your dog to the vet so your furry friend can get a full checkup to determine that reason for the itching isn’t caused by any serious medical condition. Once you know it is caused by an allergy, take active steps to determine what your dog is allergic to so you can take the appropriate steps to make your dog itch-free. Hee hee! Would you ever use a leash on your cat? Experiencing hairballs once in a while is a pretty normal phenomenon for a cat. However, if your cat has hairballs every day or a few times every week, or even if your cat has difficulty getting hairballs out, you might need to help your cat. Be sure to take your cat to the vet if he really has difficulty getting the hairball out or if he experiences them too often. Otherwise, some natural methods can ease the process or even prevent hairballs from forming. Since cats clean themselves by licking, they inevitably swallow a fair amount of fur in the process. Some of the fur will go through the cat’s system and come out through waste, but some of it becomes stuck in the stomach and small intestines, creating a ball of fur. Some cats experience hairballs more than others. These include cats that lick excessively, long-haired cats and cats that shed a lot. Sometimes, hair balls can be a symptom of something worse like inflammatory bowel disease or intestinal lymphoma. If your cat is getting hairballs frequently, it’s worth taking him to the vet to rule out a more serious condition. You could try lubricants or other specially-formulated hairball treatments. However, the David Suzuki Foundation notes that petrolatum — or petroleum jelly or mineral oil — which is used in these products, has been associated with a risk of cancer and other health problems. VetInfo notes that using these products over a long-term basis can prevent your cat’s body from absorbing fat-soluble vitamins. Therefore, you might want to try a more natural approach to hairballs. An easy way to prevent or minimize hairballs is to regularly brush or comb your cat. This act will take away much of your cat’s loose fur without him licking it off. Plus, grooming provides quality bonding time between you and your cat. Changing your cat’s lifestyle can also prevent hairballs. Eating healthier with fewer snacks and more fiber, and exercising, can create a healthier digestive system that keeps the hair moving. Also, you could try hairball-reducing cat food or treats. The Natural Cat Care blog recommends trying a grain-free diet to see if it helps your cat. You could also add canned pure pumpkin and/or probiotics/enzymes to your cat’s diet. When people see their dog scratching a lot, they automatically assume it has fleas. Although flea bites do cause itching, the truth is that dogs can be allergic to certain food products, environmental pollutants, bug bites, dust mites, pollen and exposure to the sun. Dogs can be allergic to, among other things, another animal and even to their very own owners. These all cause dogs to have itchy skin. Dogs that are observed scratching more than usual should have their skins checked carefully. If the skin is red and scaly or scabby, or the owner notices unusual hair loss, the dog should be taken to the vet. Sometimes, a dog’s paws will become swollen from constant licking and chewing. All these signs are symptoms of allergies. Diagnosing dog allergies that cause itching. Dogs can be allergic to the same substances that cause human allergies. In order to identify the specific allergen, the veterinarian performs the same types of tests that allergists perform on humans. Dogs may need to be put on an elimination diet to determine if they are allergic to a certain food. Skin and blood tests may be performed. If the problem cannot be diagnosed, or treatment seems ineffective, the dog should be seen by a veterinary dermatologist. 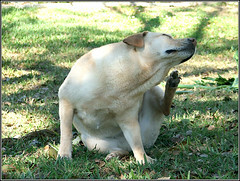 Some of the same remedies to relieve the allergic itching that are prescribed for humans are also prescribed for dogs. This includes antihistamines and steroids. There are also a number of natural remedies that can be tried. • The dog should be bathed weekly with a soothing shampoo recommended by a vet. • Feed the dog only hypoallergenic food. • Grind oatmeal into a powder and rub into the coat. It relieves itching, but may need to be applied several times a day. • Rub baking soda into the coat and skin to relieve itching. • Avoid using chemicals on your pet. Flea collars should be avoided, since they contain toxic chemicals causing allergic reactions in many dogs. • Dogs that have allergies to the sun need to have sunscreen applied before going outside. • Adding some herbs and fatty acids to the diet, with the approval of your vet, may alleviate the itching. • There are chewable dog allergy tablets with herbs and special herbal shampoos that can be purchased through your vet or online that are designed specifically to treat a dog’s itchy skin. Pet owners love their dogs. They are a member of the family, and that is why it is so heartbreaking to watch them get sick. Also, just like a human child, it is scary to watch them have a seizure. However, as with humans, knowing a bit about what causes them and how to treat them can make a world of difference. There are many causes of dog seizures that are still unknown, but these dogs still can get diagnosed with something called idiopathic epilepsy. However, dogs are usually tested or other causes first. Other possible causes include head trauma, kidney failure, central nervous center inflammation, ammonia in the blood, heat stroke, distemper, lead poisoning, and low blood sugar. 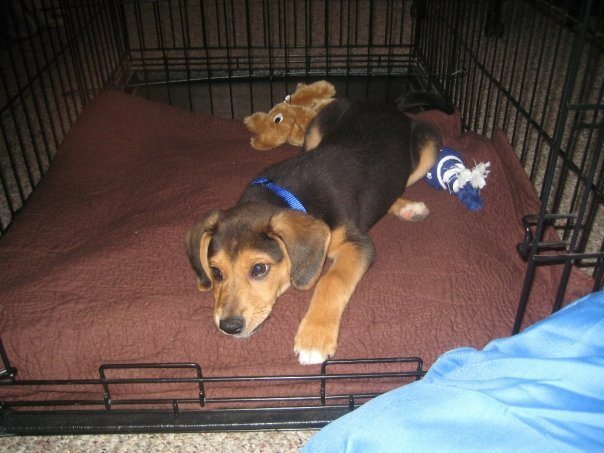 In many cases, a puppy will out grow his seizures as he grows into adulthood. However, for those dogs that do not out grow them, there are certain drugs that can be prescribed. There are natural treatments as well, which is usually the better option because of the side effects that can occur with drugs. Also, anticonvulsant drugs must be used for a lifetime once use begins. Natural treatments include herbal substances like the Vet Select Seizure Formula. Acupuncture is also said to be an effective means of treating seizures. It is important, though, to keep in mind that none of these methods will one hundred percent eliminate seizures no matter how effective they are at reducing the number of them. It is always important to report any seizures your dog is experiencing to a veterinarian as some are more severe than others, and some may require more serious treatment than others. If you are concerned about stating your dog on drug therapy, discuss any of these natural alternatives with your dog’s vet.